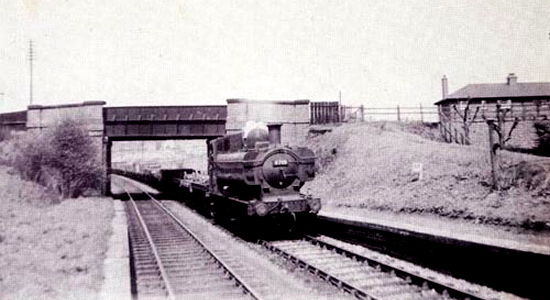 The Wombourne branch was originally mooted as the Wolverhampton and Bridgenorth Railway under a more elaborate scheme than the one that eventually was to materialize in 1925 under the GWR. 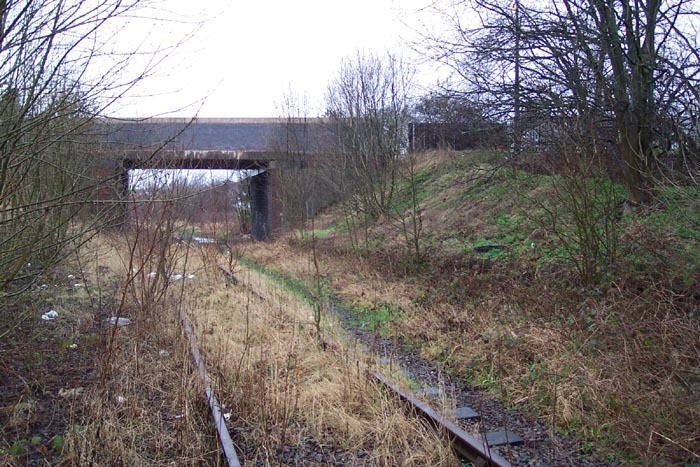 In 1858 the OWWR had opened a single line to Oak Farm Colliery branching from their 'main line' to Dudley (just North of Brettell Lane station) which was itself extended to Himley Colliery and later to Baggeridge Colliery, just North of Kingswinford. 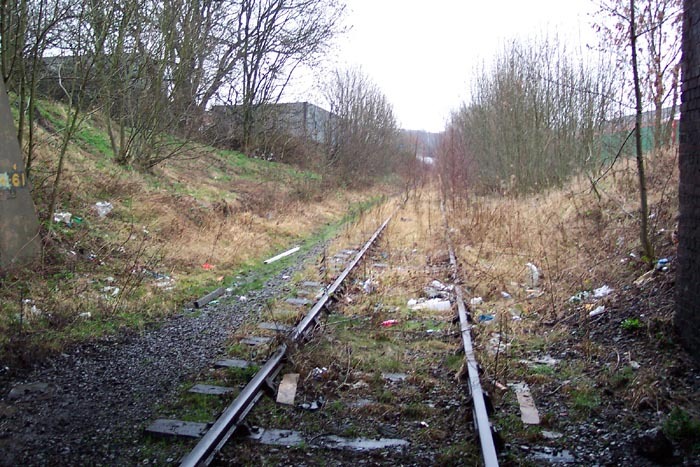 The OWWR merged with the GWR in 1863 and in 1899 plans were made to extend the line North to Wolverhampton and turn it into a fully-fledged passenger concern linking Wolverhampton with Bridgenorth. Although this plan was never fully realised, the GWR did set about transforming the route from a single line colliery branch to a passenger carrying route between Stourbridge Junction and the main line North of Wolverhampton Low Level, finally opening to passengers in 1925. Brockmoor Halt was the first stop heading North from the junction with the Dudley line. Above we see Brockmoor Halt in 1956 (photo: John Dew), 21 years after the line had closed to passengers and was then used for goods traffic and diversions as it provided a useful bypass for Wolverhampton. 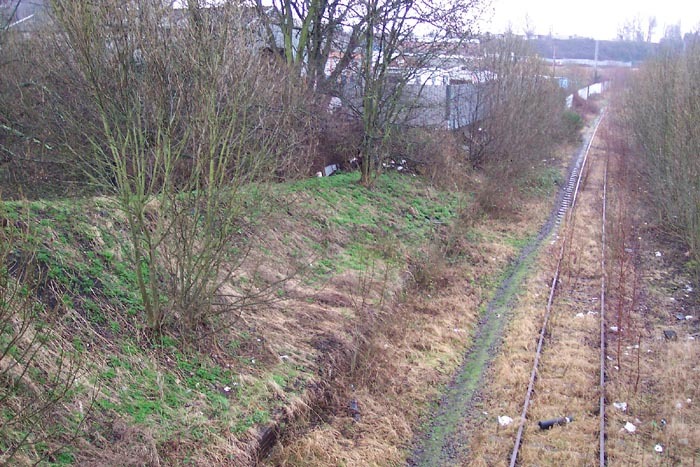 Above-left we can see the Wombourne Branch leading off to the left in this view taken from a footbridge over the now goods-only lines which once formed the OWWR/GWR route from Stourbridge into Dudley, a few hundred yards passed the site of Brettell Lane station (to the rear). 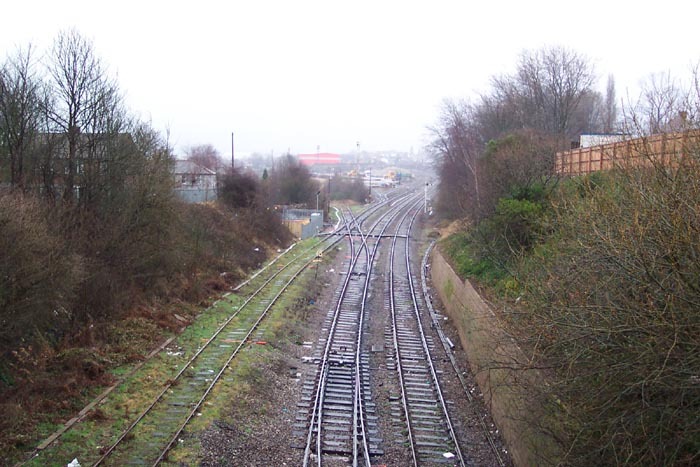 Centre of the shot is the old Moor Lane yard which is now the 'EWS Moor Street Steel Terminal', although it looks in the last stages of closure to me: the footbridge from which the photograph was taken can be accessed via Eastern Avenue. Above-right we are on Moor Street looking at the entrance to the Stourbridge platform of Brockmoor Halt which can clearly be seen by the area imaginatively blocked-off by railway sleepers! Above-left we are still on the Moor Street bridge but we have moved over to the site of the entrance and are looking down the 'path' to the one-time Stourbridge platform. 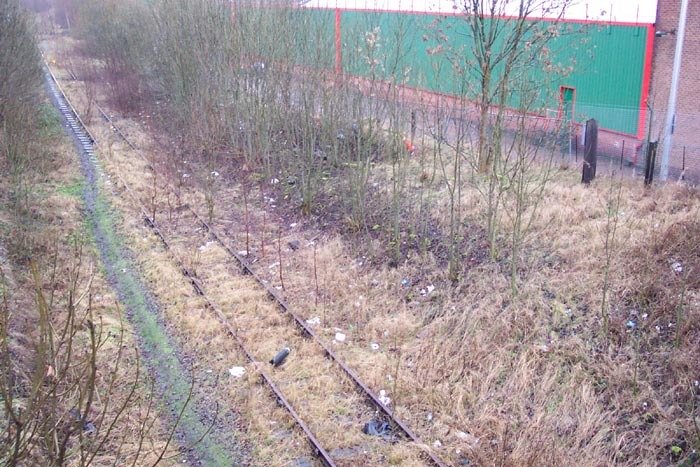 Above-right we are again on Moor Street bridge looking down at the site of the halt with Moor Lane yard and the old Dudley line just out of site around a right-hand bend ahead. I was quite surprised when I took this shot that there appeared to be not only track here but also remnants of the platforms. 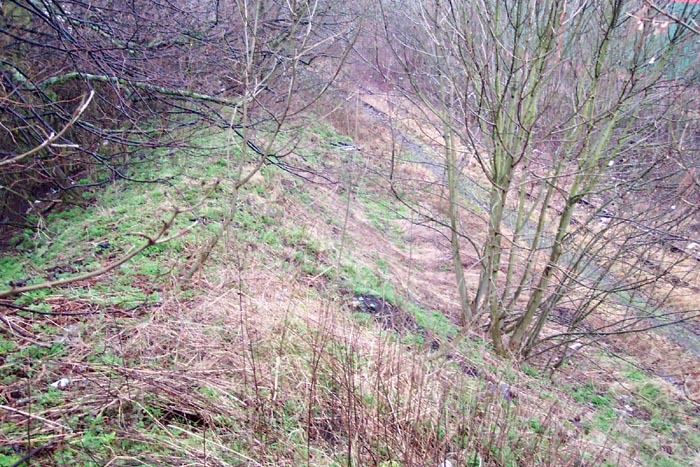 Above-left we are in the same spot as the previous photograph but this time looking over to the Wombourne platform site of which nothing appears to remain. Above-right I'd managed to scramble down to the trackbed itself and this shot is taken between the platforms looking North through Moor Street bridge. Above-left we are under Moor Street bridge getting a similar view to that of the driver of the train seen at the top of the page as he entered the site of the halt: the stourbridge platform is to our left. Above-right I have atttempted a 'past and present'-style shot: this perspective is very close to the one taken by John Dew at the top of this page. 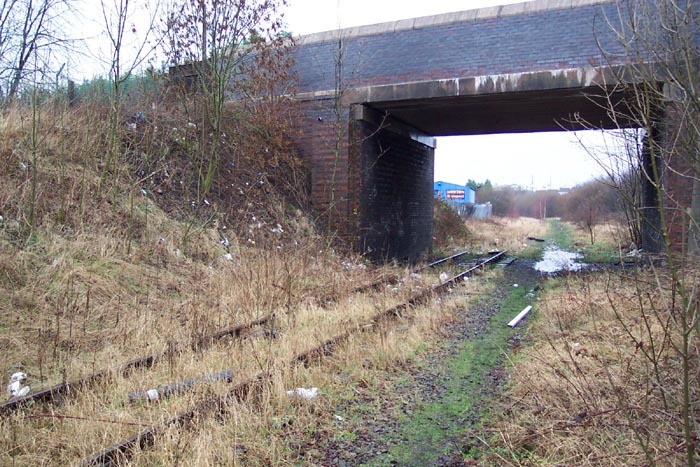 The Stourbridge platform still remains under the brambles to the right (although not too clear on the photograph) and the distinctively shaped entrance pathway does not appear to have changed at all. 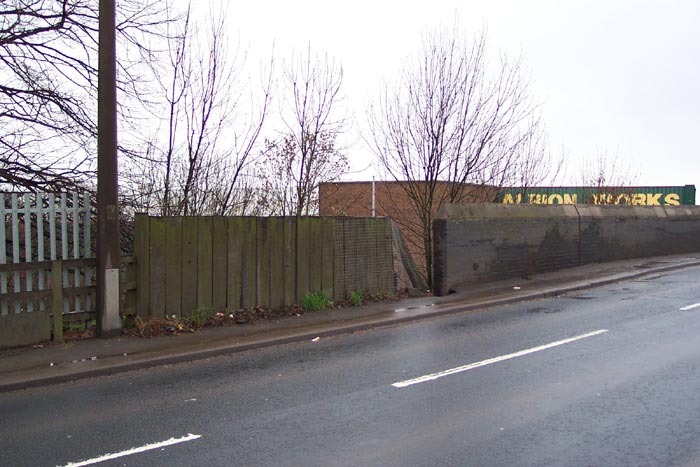 The main difference between the photos is that the road bridge has been rebuilt: I assume this was sometime around the renaming of the road from 'Moor Lane' to 'Moor Street': the house still exists too, minus its end chimney, but is obscured in this view by the advancing foliage. It is, as are most of the sites on this line, worth a look around.